CARLISLE, Pa. - June 26, 2018 - PRLog -- All roads lead to Carlisle, that's just as much of a fact as it is a marketing statement for Carlisle Events. With many major roadways and just as many trucking companies in central Pennsylvania, it's easy to see why that phrase rings true. Carlisle itself is home to multiple trucking companies and warehouses as well as a stretch of road between I-81 and the Pennsylvania Turnpike that is home to a handful of truck stops and truck related businesses. It is fitting that Carlisle, Pennsylvania would also be home to the Carlisle Truck Nationals and its show within a show, the Big Rig Show and Shine. Presented in 2018 by A&A Auto Stores, this event runs August 3-5 and for 2018, plays host to a unique opportunity not only for enthusiasts of trucks, but also for those looking for work. 2018's Big Rig Show and Shine is expected to draw over 200 big rigs and heavy trucks to the CarlislePA Fairgrounds, but what makes this year's happenings unique are that at least eight trucking companies are not only bringing trucks, they are bringing jobs to Carlisle! There is always a demand for truckers to haul payloads of all sizes, but in many cases, there aren't enough drivers for the work. This slows down commerce and creates issues for companies contracted to do a specific job. Those jobs are competitive and in many cases, high paying. For 2018, it doesn't matter if interested parties are already employed and looking for a new challenge or looking for work, they are invited to come to Carlisle to explore the opportunities. 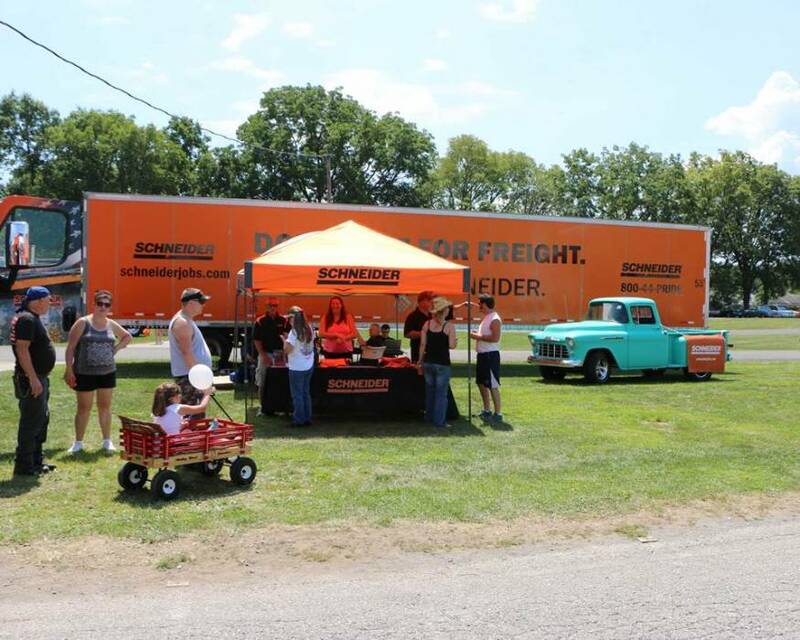 "A couple year's ago we invited a few of our truck industry neighbors to showcase their vehicles and businesses as part of the Truck Nationals," said event manager Ed Scholly. "The Truck Nationals has since provided many of them an opportunity to fill openings for operator and logistic jobs in their companies. We are approaching a dozen companies for 2018. If you are seeking opportunities in a strong industry, you may not find a better place to get a picture of the industry and what it has to offer," noted Scholly. "This event features common carriers to businesses complimenting the trucking and transportation industry." In addition to the big rigs and heavy equipment, the Truck Nationals offers a light truck, custom van and SUV showcase. The event hosts family fun with the kids activities, light truck, jeep and SUV vendors, monster truck shows and rides, live music, competitions and more. It's all available for just $15 per adult, with kids 12 and under admitted for free. Or get the weekend ticket for two by registering your Truck for the event. Complete details about truck weekend, including links to the companies that are showcasing and offering opportunities is available on the Carlisle Truck Nationals portion of www.CarlisleEvents.com.